One of the best things about the Android platform is the fact that it has an open app market. Developers are free to upload their software and have it distributed to millions of users without having to get approval from Google. 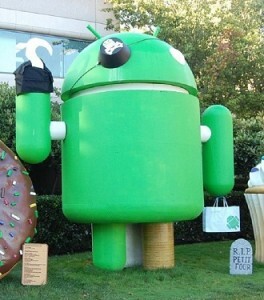 But having an open market can also lead to the possibility of malicious software making its way to the Android Market. What can malicious apps do to your device? 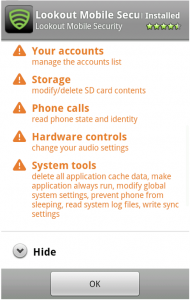 How can you avoid downloading malicious apps to your Android device? Follow the recommendations below and, for the most part, you should feel fairly confident that your Droid will remain safe and secure. Before installing the app to your device, check the security permissions that the app requires. 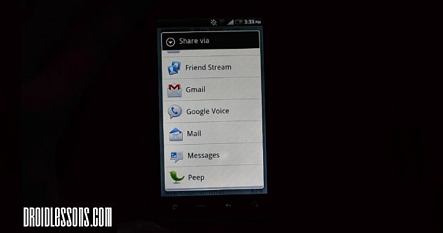 Make sure that the app doesn’t require any unnecessary permissions to your device and personal settings. For example, a Wallpaper app should not require access to your Messages (SMS), Personal Data (contacts), or System Tools (modify settings). So just be aware of the security permissions of an app before you click the install button. And if something seems suspicious… trust your gut and just skip it for the time being. 2. Read the comments section of the app for user feedback. The comments section of apps can be a great resource to find out what others think of an app. Always check the user reviews first before downloading an app. 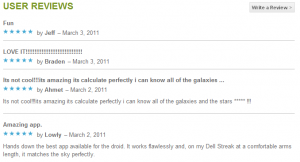 It will give you some insight into what people are saying about the performance and reliability of the app. 3. Check the number of times the app has been downloaded. Apps that have been downloaded in excess of 250,000 times are unlikely to be malicious. Especially if they have been around for awhile and are from a trusted developer. Stick to these types of apps! 4. Avoid installing pirated apps. I know it’s fun to get free apps. But the fact is some apps are worth paying for if they provide you with a useful service. Don’t steal. It hurts the developers and leads to malicious software being installed on your device. Stick to the Android Market for all your app needs. 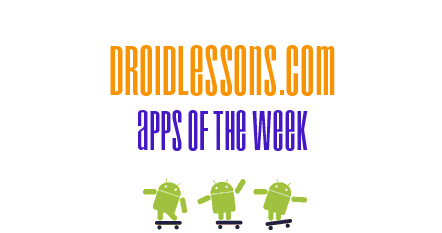 There are PLENTY of free apps available on the market if you don’t want to spend any money. 5. Install an Anti-Virus app (Lookout or AVG). Just like your desktop computer, you’ll want to make sure that your Android device also has some Anti-Virus software installed. There are plenty of free options available. Here are two that I recommend: Lookout Mobile Security and Antivirus Free – AVG. 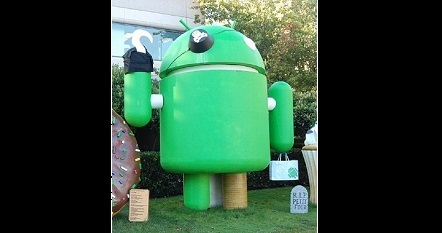 Make sure your device is running the latest available version of Android. The latest versions of Android have additional security features in place and have also fixed various security exploits that existed in previous versions. You can check for updates by going to: Home Screen -> Menu button -> Settings -> System Updates. If your device doesn’t have that option, check your carrier or manufacturers website for info on updates for your specific device. Feel free to leave us a comment below if you have any questions or other recommendations for keeping your Android device free of malware. Would antivirus software really prevented this? No, Google is going to pull it from the Android Market and remotely uninstall the apps before any of the antivirus apps are even aware of the problem. Great question. Yes and no. If you were one of the first users who downloaded the malicious apps then the anti-virus would not have detected it because it was a new exploit. But since then, the anti-virus apps have updated their virus definitions and can now detect this exploit and protect users from future apps that carry the same malicious code. And yes, Google removed the malicious apps from the Market and uninstalled it from infected devices. But even after Google uninstalls the app… the damage is usually already done. ok… this is red herring in respect to AVG… solution is simple – get rid of antivirus crapola… that is a fraud and red-herring!!! and absolutely unneeded and unnecessary!! Make sure your handset is rooted first then, install DroidWall by Rodriguez (you’ll find it on the app market place) and it will create firewall rules to block traffic over wifi and 3g. Depending if its white list or black list, both mutually exclusive, for mine I use white list and select only apps I use to work away over wifi. For 3g, everything is blocked! Simple really and oh yeah, practice common sense, and keep a watch out and subscribe to websites delivering quality information about android and forums. really cool reviews.. i found them educating..
now, let me ask for your advice on something. Am using a SAMSUNG GALAXY Y( S-5360), and recently i had installed “Avast Mobile Security”.. its free and available at play store. Whats your opinion on its credibility? Do you think its any Good? If not, Could you kindly suggest me a better one, which is free? Let me also mention that i havent rooted my phone yet. Am thinking of doing it after a few months.